Since this is my blog’s first post, I guess it only makes sense to start off with something pretty special to commemorate the event. 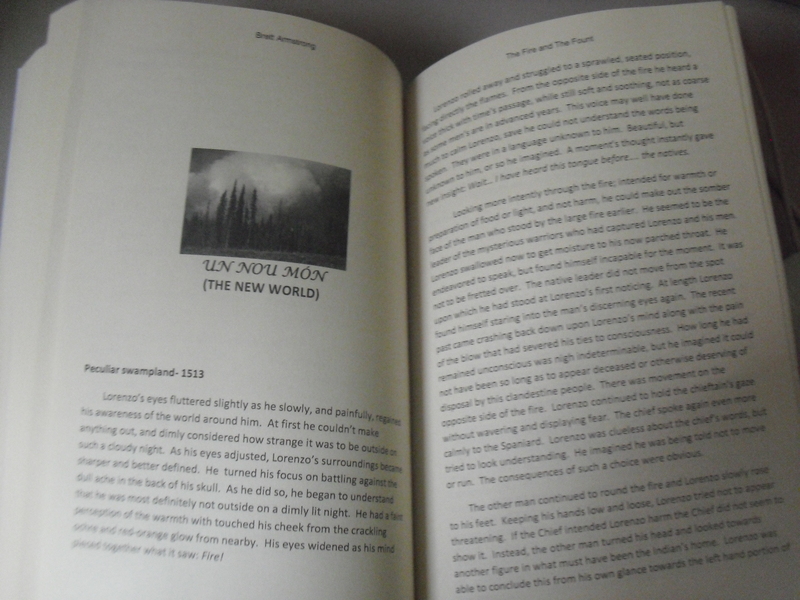 Recently I had the opportunity to get a proof copy of the novel I finished writing in February of this year. After two and a half years of work, the 15 page short story for my second WVU creative writing class is now in print… sort of. I don’t yet have a publisher for the book, or even an agent. This is my first attempt at publication so I tend to get passed over when I send out query letters. My lovely fiancee, the crochetting artist, has been doing her best to keep my spirits high and help me through the process to getting my novel into print for real. 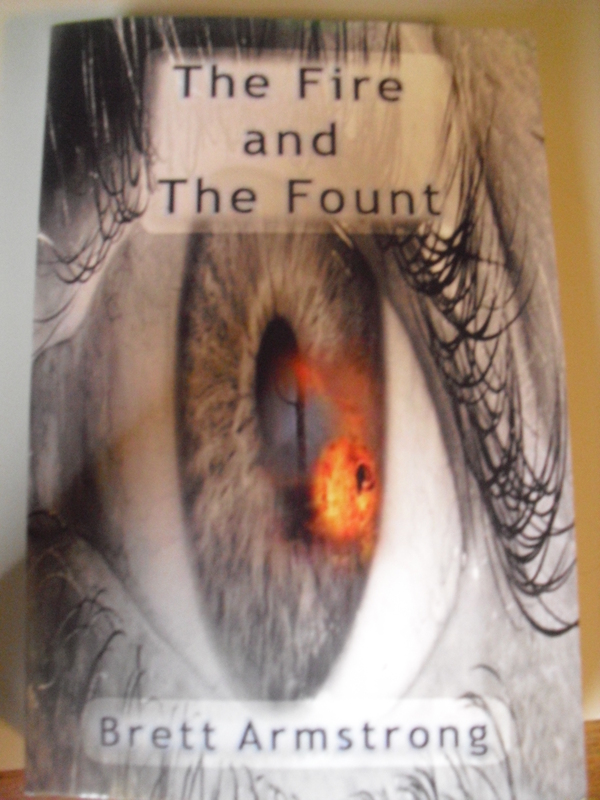 In the meantime, the proof copy was a lot of fun to make. 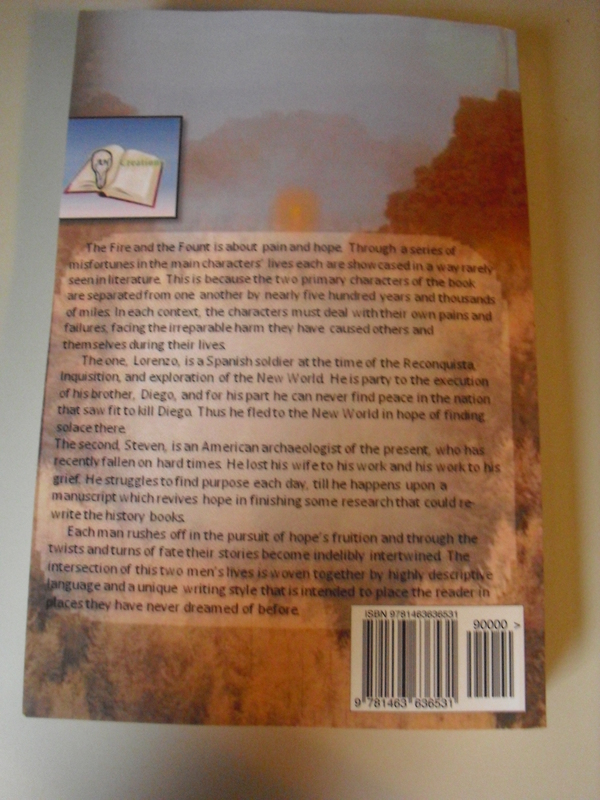 It has covers with my own custom made artwork and every chapter has an image above the heading. Not to mention… cream colored pages. Ohh yes, I’m very proud of that. Seriously though, it feels good to hold it, even if it hasn’t yet made it out there like I want. Just have to have faith that God will help me through that process as well, because He definitely helped me through the penning of each word. For those who made the trip to see my new blog I included the “Pitch” for the novel. I hope you like it, and welcome comments, bad or (even more welcome) good. Good luck on getting the novel printed, it’s nice that your girlfriend supports you so much (i have been a folow’er of her blog a while now). Also good luck with your blog! I read the work in sections as it was being written on your computer. . .now I can hold the “book” in my hands and enjoy the story again. Proud of you! I wish you success in this venture (should I have said “adventure”? ); BUT you are already a success. Your friends, father, and I know the wonderful spirit that dwells within you. Yeah, I am biased but then I have had the privilege of knowing you as well as reading your words.